Zong has launched two new mobile internet packages; Zong Monthly Unlimited Internet Package and Zong Daily Unlimited Internet Package. These two are the most affordable and cheapest internet packages in Pakistan by date. Zong offers Monthly Unlimited Internet Package for only Rs.200+tax. Subscriber can use unlimited internet on mobile phone via EDGE or GPRS. You can also use this package for surfing internet on your computer, if your mobile can connect with your computer. This package is called Monthly unlimited but has data limit of 2GB per month. You can subscribe to Monthly Unlimited Package by dialing *908# from your Zong number. This is also an amazing internet offer by Zong for those who want to enjoy unlimited internet use but on daily basis. They can subscribe for Zong Daily Unlimited Package by dialing *906# for only Rs. 5+tax per day. Subscriber can enjoy unlimited data download and upload for an hour at any time during a day but time limit of one hour must be followed. However you can divide your hour in as much parts as you want. You can use internet for 10 minutes in morning, then 35 minutes in noon, 10 minutes in evening and 5 minutes at night. There are also subscription charges of Rs.10+tax at the time of subscription. If you use internet after the time/data limit in both internet packages, standard rate will be applied as of your package plan. To know more about Zong internet Packages, dial 313 or 905 from your Zong Mobile Number. if it is unlimited so why the condition of 2GB per month? Worst package of SMS... Warid Glow ! ! ! Lost money... also lost package. My experience: Activated new account. Have free balance. But could not activate SMS package. Reason? free balance can not use for other services than calls. Now activated again sms package. yes activated... done. but could NOT send any message. Reason? the birth. with a new sim with free balance existed. o mere dosto. jahilo.. wimax technology may unlimited per condition hoti hai.. wateen, wi-tribe,quebee etc... kabhi ja k inn k packages b daikna.. sab ne volume diya hota hai unlimited may b..
tora sa computer knowledge b raka karo... business strategies b kuch hoti hain paglo. bht knowledge hy computer ka, lekin unlimited mai koi volume nhi hota. you are talking about limited packages. yr sab se sasta mobile internet konsa network hai. This post was very nicely written and it also contains many useful facts i enjoyed your way of writing this post thanks you have made it very easy for me to understand. the things should be clearly defined. the companies should not hide any thing if u say something unlimited then it should unlimited not munafiqat unlimited 2 GB. wah kia hi acha mazaq hai. Mere dost warid ki aur zong ki speed main zameen aasman ka farq hai.. 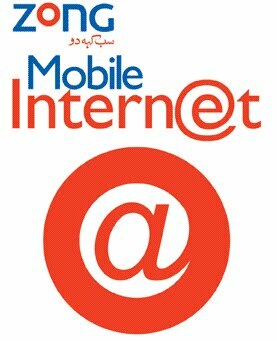 I think is waqt jo mobile internet hai.. sb se fast warid hi hai..
okay so only 200 for whole month no other taxes??? I think the best package in pakistan is djuice(telenor) sms+voice bundle, u can get 700 sms and 10 onnet min for only Rs.8 (all tax included) and their internet speed is also best then all others, i usually use internet on my computer via telenor, the area where i live, the signal of EVO are much weaker, but the speed of telenot is almost 500kb/s but it is expensive, u can only get 15MB for Rs. 35. If you just want to check your mails and also want to keep yourself online on chat than its fine, otherwise it's speed is veryyyyyyyyyyyyyyyy slooooooooooooow and I don't think so that in whole month you will be use 0.25 GB of 2GB due to the slowness...... So lets try some other company package. how to check remaining zong internet package? Deactivating Zong Internet Packages is very easy and it can be easily done by sending an SMS or by dialing a simple code. You will get an confirmation message instantly. zong day time offer is the best offer for user who use internet on daily basis. This Zong Day Time Offer will be vey good to you.